Ally McCoist insists his Rangers side will be fully prepared for the Scottish Cup second-round tie at Forres Mechanics. Rangers will be in confident mood against the Highland League champions following their Scottish Communities League Cup win over Motherwell. "We've seen pictures of the stadium and we've obviously had Forres watched three times as well," McCoist said ahead of Saturday's game. "We're treating the game seriously." , only their second title in a history that stretches back to 1884. They warmed up for welcoming the former Scottish champions with a 6-1 thrashing of Strathspey, but Rangers themselves travel north to the Moray town on the back of beating the current Scottish Premier League leaders. The Ibrox side lost Francisco Sandaza to long-term injury in that game and, with addition of David Templeton and Andy Little being absent and Dean Shiels and Ian Black being doubtful, McCoist goes into the game with the prospect of being without most of his experienced players. But the Rangers manager is confident his side can arrest their stuttering form away from home when they visit Mosset Park, which will have a capacity of 2,700 for the Glasgow side's visit. 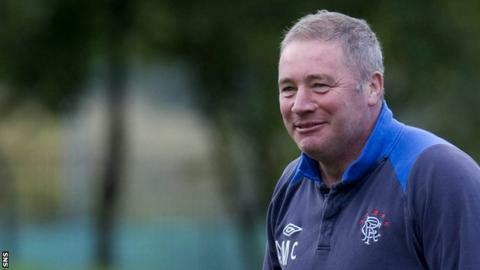 Rangers have dropped points on their trips to face Third Division rivals Peterhead, Berwick Rangers and Annan Athletic this term and McCoist has warned against complacency. "It's very important, as is the case with every other game we play," he said. "Nothing should shock us now as players, managers and coaches. The grounds might change, but the general area of the pitches don't and that's where we have to perform. "We can't have any excuses. I think we'll get the same type of games from Forres as we've had when we've gone away this season. "All of the SFL3 games we've played away from home have been competitive and there has been no shortage of talent or spirit from the opposition. "I think it'll be exactly this same this weekend and I don't think we'll get anything different from our hosts."